Join Co-op Food Educator Lindsay Smith at the Culinary Learning Center for a fun, hands-on class as we explore making sushi. 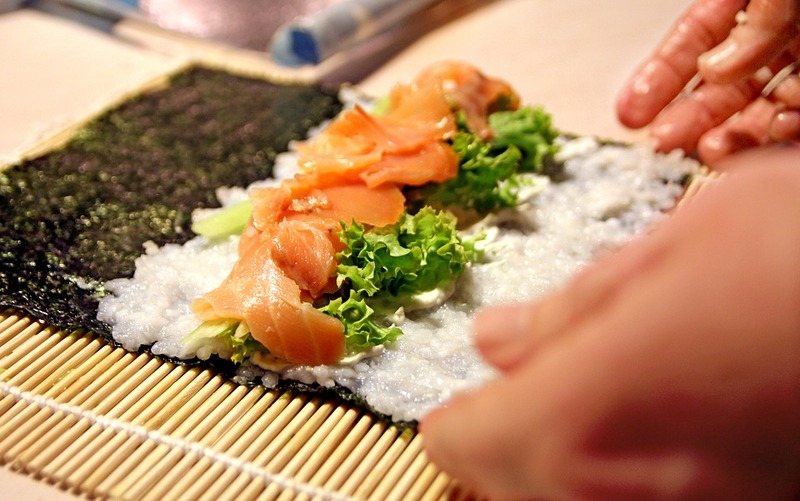 You will be shown how to make the perfect sushi rice, how to customize your rolls with a variety of ingredients and even add some flare to your presentation. Each participant will make 4-5 rolls, including a dessert roll. Come prepared to roll, create, laugh and eat. Grab your friends; this is a great group activity. ​Wine and beer will be served. Must be 21 years of age or older.